I picked up a few reading materials at the airport earlier today. 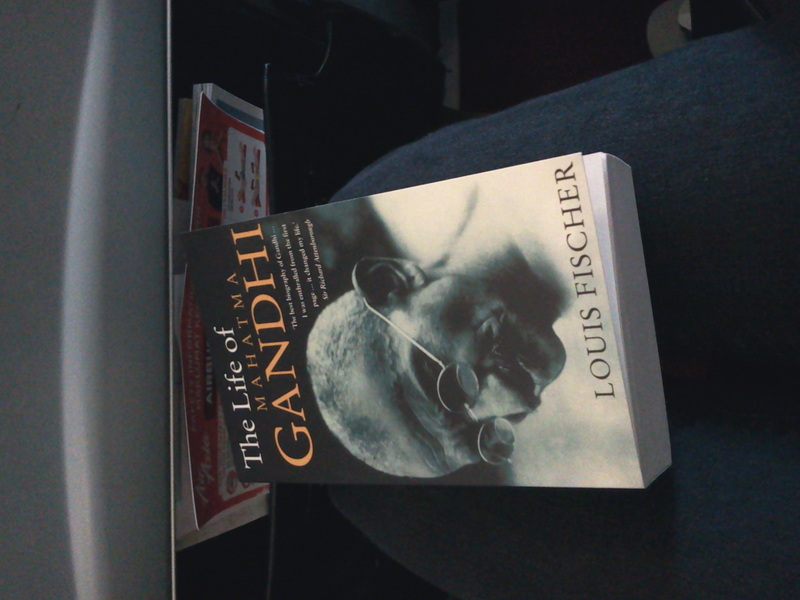 The second book I picked up is said to be one of the best biographies of Mahatma Gandhi. It’s by Louis Fischer, who had been very close to the “Father of India” throughout the latter’s active years (which is to say, most of his adult life). Upon reading a quarter of the book all day, I realize that today, October 2, was actually his birthday. Happy birthday, M.K.Gandhi! May we all become as selfless, contented, and enlightened as you were! With his efforts, beliefs, and essence in mind: I wish you a peaceful week ahead of you, wherever you are.